Welcome to this week's edition of Counterclockwise – our weekly article that looks back in time at what happened in the last few years. This week it's a rollercoaster as predictions of future market share miss by a mile, while makers of smartphone apps sell for more money than makers of smartphones. We do have several high-profile phone launches to reminisce about too. At the very end of March 2011 IDC made some bold predictions – by 2015 iOS and BlackBerry will lose ground and the fresh Windows Phone 7 OS will climb to the #2 spot globally. With the benefit of hindsight, it's easy to see the analysts were very wide off the mark. The prediction for iOS was that it will mostly keep steady and according to Gartner's numbers for 2013 it's doing just that. Everything else, however, IDC got wrong. For one, its analysts were predicting BlackBerry will slip by a couple of percent, while in 2013 the global share of BB OS was under 2%. Now it's a question of whether the company as a whole will exist in 2015. The Windows Phone 7 prediction was even less accurate – Microsoft's OS (rather its reincarnation as WP8) is a distant third with less than double BlackBerry's share. Nokia did put out some impressive handsets a few days ago, but we doubt they'll be enough to reach the predicted market share of 21% in less than two years. A year after IDC's prediction, RIM posted a negative quarter, again, and then CEO Thorsten Heins wanted the company to refocus on the business sector that pushed the company to the top in the past. Since then the company changed its name and its CEO, what didn’t change (unfortunately) is bottom line – it's still red. As that was going on, Android cracked the 50% mark in the US, securing its position as the top OS there, while the positions of both BlackBerry and Microsoft were slipping. That's not melting Windows Mobile shares either (like how Nokia was losing ground as Symbian lay dying), no this was Windows Phone under-performing. That week in 2012 marked another cornerstone for the US market – smartphones had finally surpassed feature phones, grabbing just over 50% of the market. So why are smartphones so much more popular than feature phones today? Simple – apps. The smartphone's amazing ability to grow new functionality became so popular that it caught developers of desktop software and games by surprise. In 2009 things were still pretty new, however. 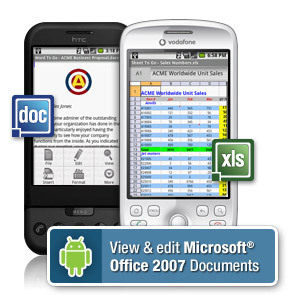 Android, for example, just got its first document viewer – Documents-To-Go. Android was very green back then, we had just finished reviewing its first phone, the T-Mobile G1, a couple of weeks earlier. Another grand mobile app launched happen then too – Skype landed on the iPhone. The instant messenger became a juggernaut with its desktop app, these days it's the mobile IM clients that are the hottest software on earth. That's no exaggeration either, Microsoft bought Skype in 2012 for $8.5 billion, then Nokia for $7.2 billion a year later. This year, WhatsApp (a phone-only messenger) was bought by Facebook for a whopping $19 billion. Speaking of Nokia, this time in 2009 the Finns launched Nokia Messaging. Rather than IM, the app handled email and supported Gmail, Hotmail, Yahoo! Mail and even AOL Mail. Not that it ever reached the sort of popularity of WhatsApp and its kin. 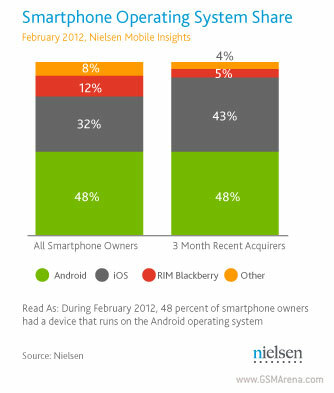 Anyway, BlackBerry smelled revenue in apps and in 2009 launched BlackBerry App World. Compatible with BB OS 4.2 and above, it supported PayPal payments and was a downloadable app rather than tightly integrated with the OS as the Apple App Store is, for example. A year later, in 2010 just as March was giving way to April, MapQuest 4 Mobile launched on the iPhone – a free GPS navigation app for the US. Back then we described it as "known as one of the best Google Maps alternatives." Google is now the undisputed champ of maps, but after a breakup with Apple, Gmaps was dropped as the native mapping application on iOS and replaced with an Apple-made app. It had a rocky start but is rapidly improving. 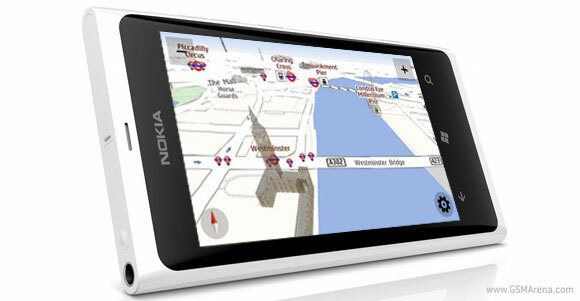 Nokia may no longer be the leading map provider for phones, but it keeps working on it. In 2012 Nokia updated its Symbian and Windows Phone apps to show real time traffic updates. Google has this feature in Gmaps too, the fruit of a $1.1 billion acquisition of mobile app Waze in 2013. See? Billion with acquisitions are quite common in the mobile world these days, it has become the hottest software segment. In 2011 Nokia launched one of its last great messengers – the Nokia E6. A sturdy metallic body, super bright 2.46" touchscreen and most importantly a portrait hardware QWERTY keyboard. 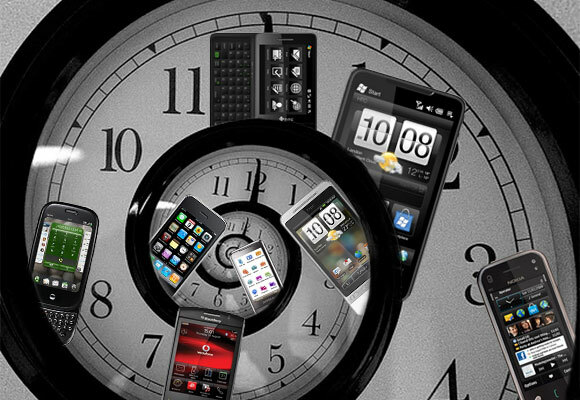 The rise of iOS and Android put an end to this chapter of mobile phone history, even feature phones have touchscreens nowadays. The Nokia E6 really was a great phone for its time though. Its screen had 325ppi pixel density (matching the iPhone) and it put out a blinding 1000 nits of brightness. The 8MP camera had dual LED flash and recorded 720p video. Other phones were moving to 1080p already, but getting 720p out of a single-core 680MHz processor was an impressive feat. The Sony Xperia Play launched in 2011 too and on April 1 it reached Europe. It was no joke, not to Sony at least, with over 60 games ready to download, including some exclusives and PlayStation 1 games it could have been a hit for Sony. We already established there's a lot of money to be made off mobile software and games are no exception – remember the Angry Birds craze? Still, the Xperia Play was woefully underpowered for 2011 and somehow the promise of hardware game controls didn’t win people over. This days Sony just lets users Dualshock 3 controllers from the PlayStation 3 instead. 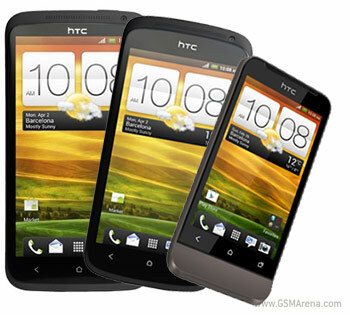 A year later in 2012 HTC unveiled the One family. The One X, One S and One V hit Europe and Asia on a Monday just before March ended. The promise was simple – the company will release only a few phones, but focus on a premium execution. The three One phones fitted neatly into that, they were flagship, mid-range and entry-level. HTC then proceeded to release several dozen of unimpressive Desire phones, losing its focus. The One family lives on though and it consists of some of the best designed phones on the market. Sales haven’t bounced back up, however, unfortunately for HTC. Another launch happened at the same time – Motorola brought the Defy Mini to the UK. It's not the phone that's so memorable, but the realization that Motorola has had two different owners since then was pretty startling – 2012 doesn’t seem so long ago yet Google managed to buy and sell the legendary phone maker in the meanwhile. Google paid $12.5 billion and sold it to Lenovo for $3 billion for those keeping score. It did keep the patents and Project Ara though, so it's certainly not a monetary loss. On April 1 2008 Microsoft launched Windows Mobile 6.1 (what's with tech companies and April Fools?). It was a relatively minor update with things like zoom in Internet Explorer and Copy/Paste. Don't laugh, it took Microsoft a while to bring copy/paste to Windows Phone too. But that was years later – Microsoft only announced Windows Phone 7 in February 2010, but Nokia didn’t embrace the platform until 2011. With Google and Apple churning out new OS updates on a schedule of two per year, why did it take the Redmond giant so long? For one, Microsoft spent time trying to rescue Windows Mobile and later released WM6.5. When it became clear that won't cut it, it started work on Windows Phone. That was a complete rewrite with a completely new interface. WP7 was the first major OS to jump on the flat UI design. Google started pushing Android in that direction in early 2011 with Honeycomb and arguably didn’t make the full transition until Ice Cream Sandwich in late 2011. Instead of a smooth transition, Apple moved iOS from skeumorphic to flat in one fell swoop late last year. Still, it was this three year gap (four years almost, the Lumia 800 was released in late November 2011) between Windows Mobile 6.1 and Windows Phone 7 that caused Microsoft's sizable market share to dwindle. 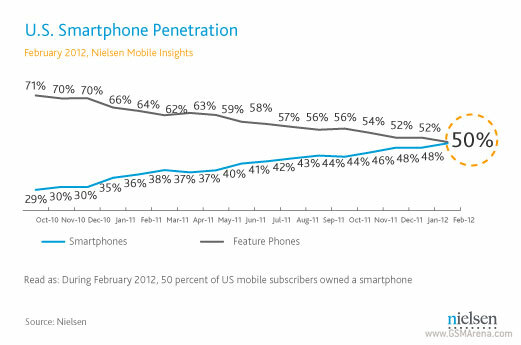 We've heard predictions that WP will recapture the lost market share and we've seen them proven wrong. While it may be too late for BlackBerry, Microsoft still has a fighting chance with the Windows Phone 8.1 update, coincidentally announced six years almost to the day after Windows Mobile 6.1.